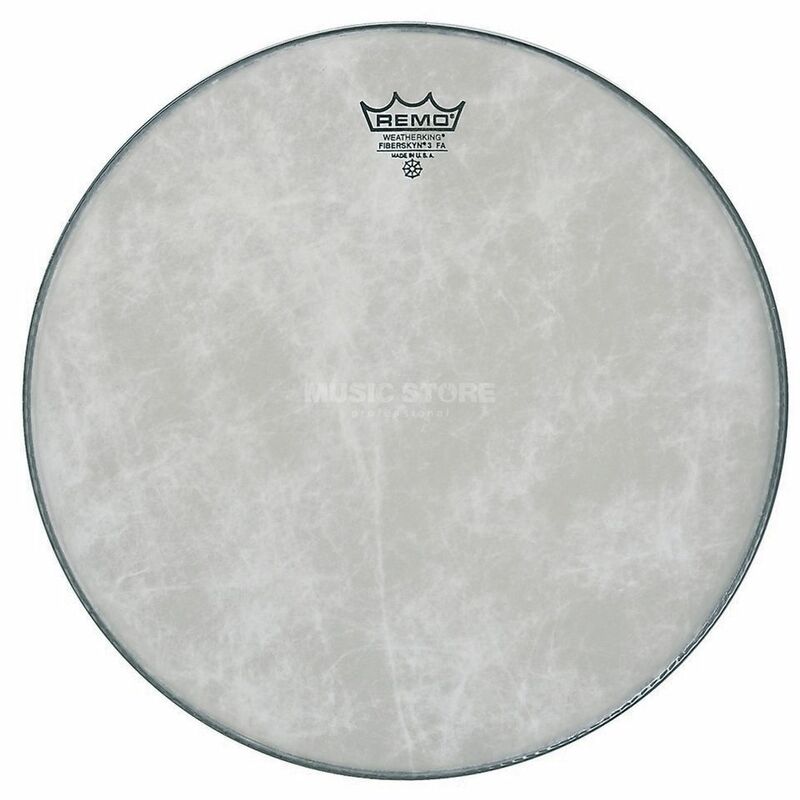 The Remo Ambassador Fiberskyn 3 10" Tom Tom Head is a medium-weight head made with a poly-spun fibre single ply 10 mil Mylar film to produce a warm mid-range resonant sound with a warm attack. The Fiberskyn 3 Ambassador surface is excellent for sticks and brushes, producing a warm spectrum of sound for snares and tom-toms; ideal for Jazz and Orchestral applications. From a hand drummer point of view. Feels good for your hand, and the Wavedrum reacts exactly like with the original skin. Seems very solid. Highly recommend for that purpose.